VIRESCO® Sator è un prodotto creato per la protezione delle superfici di pendii e l’inerbimento degli stessi, in modo facile, efficace, economico. VIRMAT L on the other hand, is particularly appreciated for the protection of scarps, the steep ones too and the ones subjected to frequent and extreme rains. 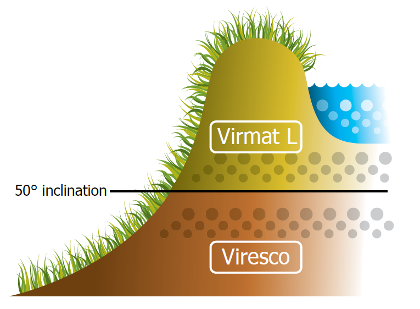 Sunlit slopes and slopes composed of impoverished soil, pond banks and the banks of irrigation and drainage canals are also suitable to be protected by VIRMAT L.
To sum things up, while VIRMAT is thicker, VIRMAT L features the following characteristics? 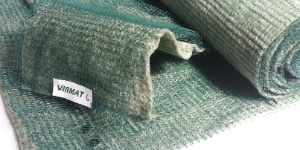 VIRMAT geomats can keep an useful layer of soil on the upper part which eventually makes the germination of the seeds embedded in the VIRESCO® bio-textile much easier. VIRESCO is attached to the geomat and when is placed on the soil it guarantees the grass covering even when the conditions are particularly difficult because of the water shortage, the inclination, the substrate quality, the daytime lighting and the thermal stresses. 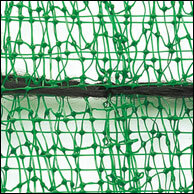 The traditional three-dimensional geomats, which are not pre-seeded, can achieve all these results only if the seeds are scattered under the geomats before they are laid down or if the seeds are scattered above them after the laying procedure, or, eventually, if you perform a hydroseeding. Thanks to the VIRMAT and VIRMAT L exclusive features, it all comes easy in a single operational phase, very effective and less expensive. .